If nothing appears here, please check your resources tab. You’ll see a list of all the AJAX calls, click the last one and check the “response” tab for additional information. 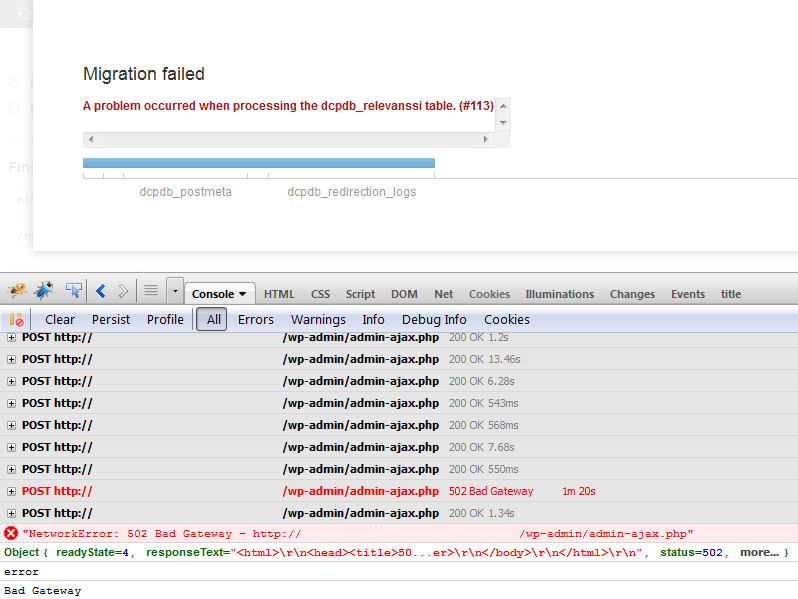 Below is an example of an error occurring in WP Migrate DB Pro. Firebug is open and we’re able to see additional debugging information. Below is a similar image, but instead demonstrated in Chrome. 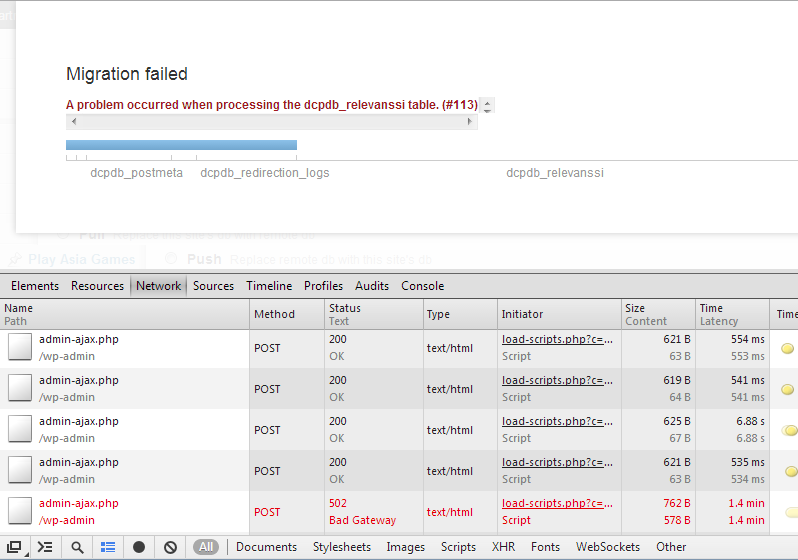 In both browsers you can click on the troublesome request in the console to see more information.